I have been busy lately... (It's summer what do you expect, right??) Whether it's working, projects, get together with friends, there is a lot that has happened. I went to the barn again, and saw Higgins.. (#lovethathorse) And this time Alicia and Jelena went with me! (Alicia writes over at Sweet 'n' Salty) We had a blast. I also have re-done my little tree house... And turned it into a reading/writing studio type thing. I re-painted it, and added a chalkboard wall. Coziest tree house I ever saw! Those Gs,Ds,1s,2s and 3s must look like a secret code to almost everyone else! Your tree house looks perfect. I want one! Where did you get the typewriter? 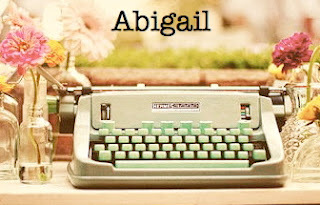 The typewriter was given to us by my grandpa... It's cute isn't it? !